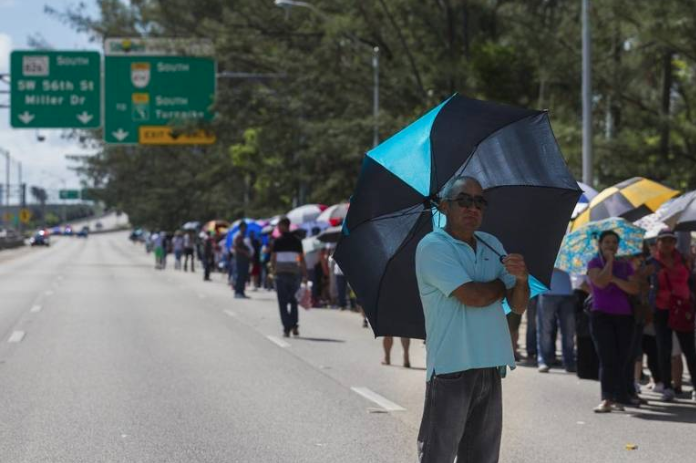 Ramon Heredia, 60, from Hialeah, stands in line in hopes of receiving aid from a post-hurricane disaster center in Tropical Park in Miami on Sunday, Oct. 15. After waiting in long lines for food assistance cards after Hurricane Irma, some of the recipients in Miami-Dade are reporting the cards could not be used within the timeline they were given. The Department of Children and Families (DCF), which manages D-SNAP, the Florida disaster food assistance program, said it would take up to 72 hours for cards to be activated. In some cases, people were reporting a week later they still didn't have any money on their cards. Eugene Johnson said he received his card on the first day they were distributed in Miami-Dade County. Three days later he went to his local grocery store and filled his cart with bread, bacon, eggs, cheese and vegetables. "I had everything packed up," he said. "And when I went to check out, they told me I had zero dollars." He left the food behind and went home. Since then, he said he called the 1-800 number every morning only to find that his card still had not been activated. Nine days later, he finally got the response he was waiting for. "My card had money on it," said Johnson. Despite Johnson's and many others' experiences, DCF says it is managing to get people their benefits on time. 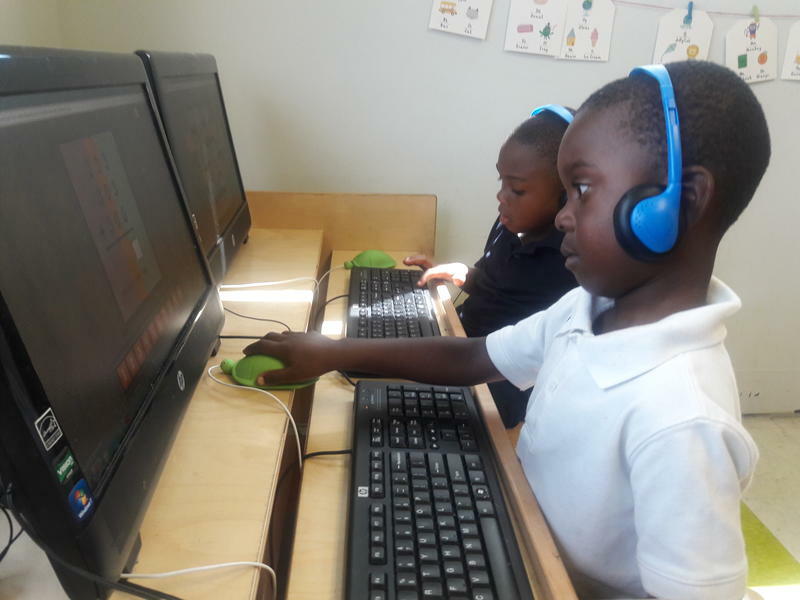 "For the overwhelming majority of applicants who pre-registered and applied electronically, DCF has deposited D-SNAP funds into their accounts by the 72-hour requirement," said David Frady, press secretary for the Department of Children and Families, in an email. Kendrix Haynes lost all his food during Irma, just like so many others in South Florida. He went to try and get assistance Thursday of last week. He waited in line for four hours, was approved and went home with his card. He called Friday, more than a week later, to see why he still didn't have benefits on his card. He was told here was some issue with his Social Security number. "They should have notified me instead of me waiting. It could have been corrected,” said Haynes, who decided to call DCF days after his card was supposed to be loaded with the food assistance. "It's not good," Haynes said of DCF's communication before and after the registration period. This is the latest frustration in what some have described as a disorganized and chaotic process to get food assistance in Miami-Dade and Broward counties. Some of the centers closed abruptly because they were overwhelmed with thousands of people seeking assistance. Among the concerns was safety after police noted fights breaking out and people fainting in lines that stretched for blocks. The University of Miami Health Rights Clinic along with several nonprofits wrote a letter to DCF criticizing the process. DCF has said that eligible families who need D-SNAP will still be able to access it, but has not yet provided any additional sign-ups in Miami-Dade or Broward County. The federal government has approved the state to hold add one additional registration day in Miami-Dade County and three days in Broward County because of the challenges those counties faced. It has not yet approved the stated request to add additional days state-wide. "We are concerned that DCF's request to unilaterally extend the application period beyond the approved seven-day period for an undetermined amount of time in the remaining counties lacks specific data and justification," wrote Jessica Shahin, associate administrator with the U.S. Department of Agriculture, in response to Florida's request. The USDA asked for more justification. Meanwhile, Palm Beach County has one more day of registration at its three sites and will be accepting people for extra hours - doors will be open until 7 p.m. Saturday. DCF has approved 658,000 families for food assistance state-wide, more than 170,000 from South Florida. 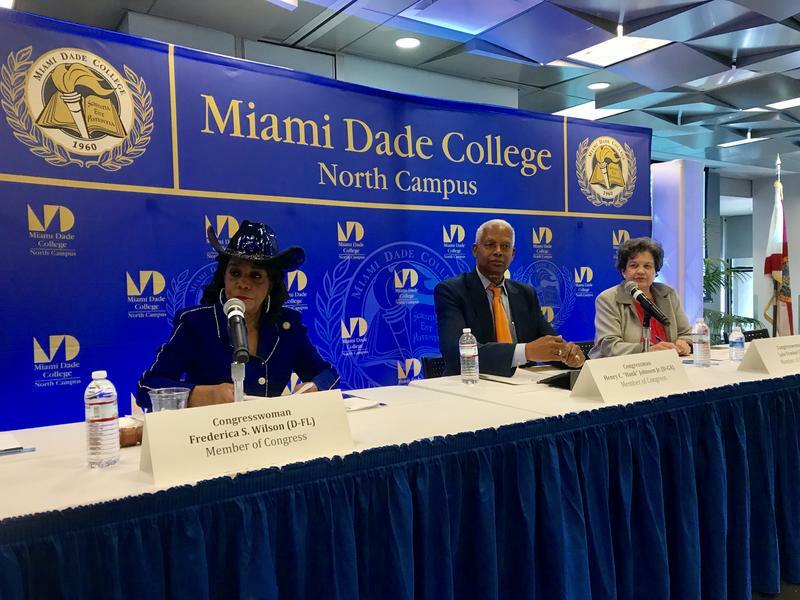 Florida Congresswoman Frederica Wilson organized a Congressional Field Hearing Thursday at Miami Dade College's North Campus to hear ideas for possible changes to nursing home regulations. She said she hopes to pass a federal law that would prevent future deaths after natural disasters, like hurricanes. She opened the discussion by making its purpose clear. "You know, we had a terrible tragedy in District 24 and we vowed that this will never ever happen again, never happen again," she said. Latoya Williams was concerned about her first paycheck after Hurricane Irma. She couldn’t go to work for seven days because the early childcare center where she teaches was closed because of the storm and its after-effects. “Whatever I make is what I make,” said Williams. “I have no supplemental income. It really would have been hard and tight." Like most hourly employees, Williams doesn’t get paid if she doesn’t show up to work— even if the reason is an act of nature. The economic impact of Irma could have a devastating affect on individuals who work hourly jobs. 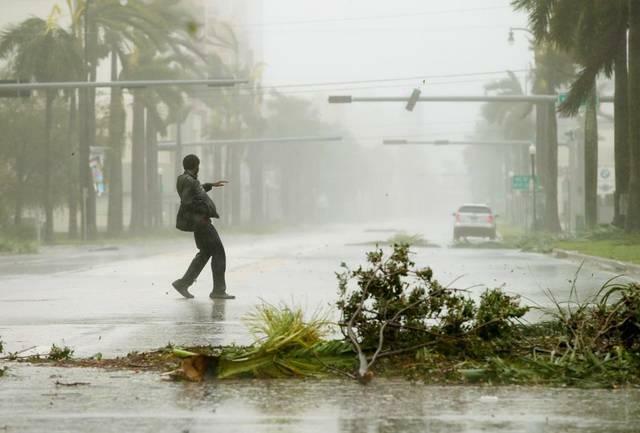 Resiliency is more than dealing with sea level rise, and Hurricane Irma made that point clearly, South Florida officials said at a post-Irma summit on Monday.